As a professional speaker and author Doug Dvorak has inspired audiences across the globe to unleash the greatness inside them. 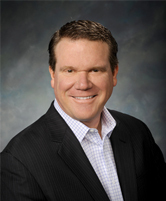 In addition to the work he does a keynote speaker, he is a certified sales trainer and management consultant. He was named one of the "Top Ten Sales Professionals in America" in 1988, by Personal Selling Power Magazine. Doug has appeared on FOX NEWS, Oprah, CBS, CNN, as well as countless other press and radio appearances. Mr. Dvorak's clients range from Fortune 1000 companies, to small to medium sized businesses, and civic organizations. He is the author of: Build Your Own Brand, The Big Book of Sales Solutions, 501 Sales Ideas to Win More Business, The Masters of Success, Sales 3.0: The New Contact Sport, and 101 Motivational Mantras.